Source: National Iranian Oil Company, Wikimedia Commons. by the ravages of the Iran-Iraq War (1980-88). Source: Mostafa Hosseini / Shana. Camel caravan on a pontoon bridge on Bahmanshir River leading to Abadan, 1910s or 20s. Abadan Refinery, probably in the 1930s. Cover of Valizadeh’s Anglo va Bangolo dar Abadan (Anglo and Bungalow in Abadan, 2010). Abadan streets, 1950s or 60s. Source: Anglo-Iranian Oil Company via Wikimedia. with Princess Shams Pahlavi, the sister of the Shah, in 1956. Iranian pop diva Googoosh signing at a night club in Abadan, probably 1960s. A kid poses with a fancy car. 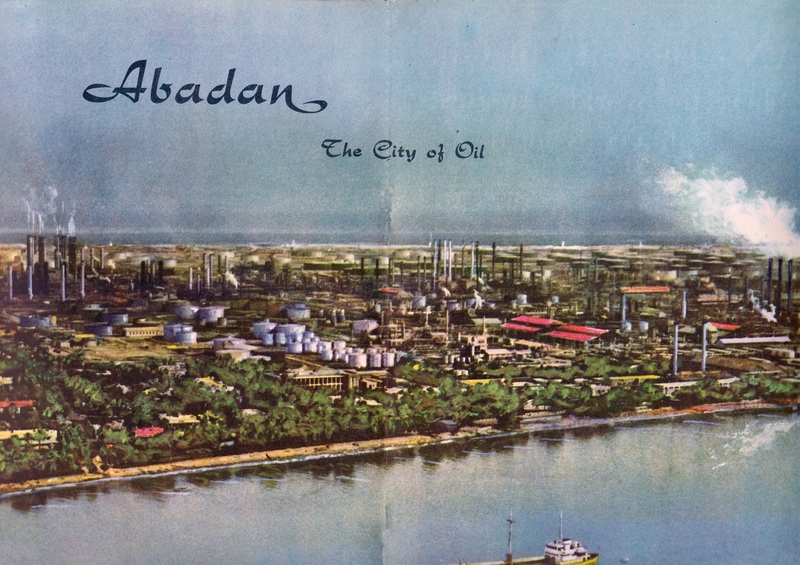 “Abadan: Oil City Dreams and the Nostalgia for Past Futures in Iran” by Rasmus Christian Elling is licensed under a Creative Commons Attribution-NonCommercial-NoDerivatives 4.0 International License.